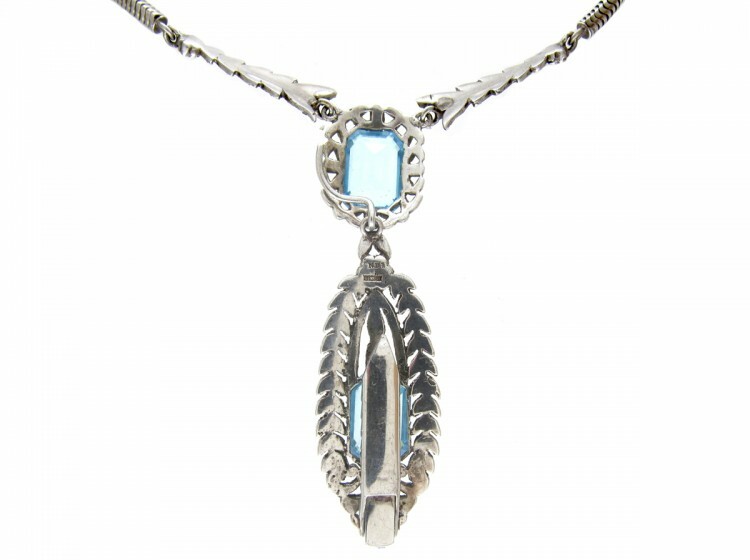 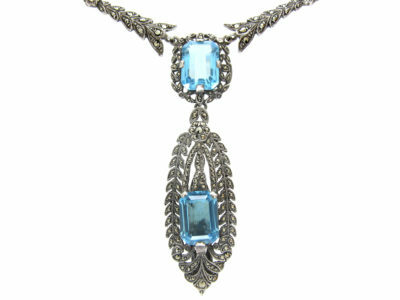 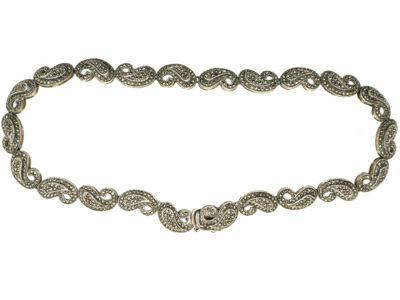 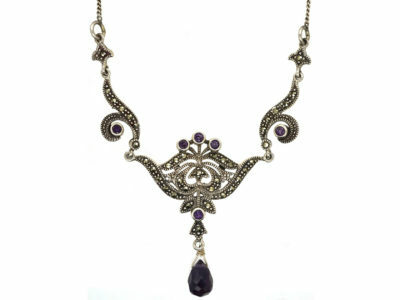 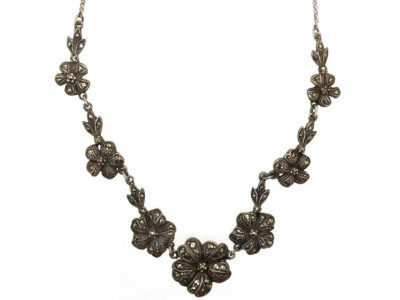 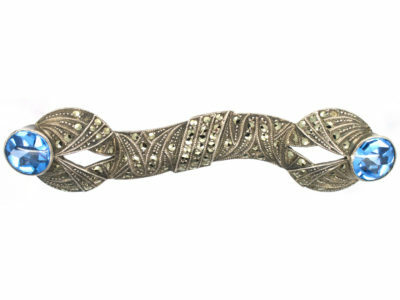 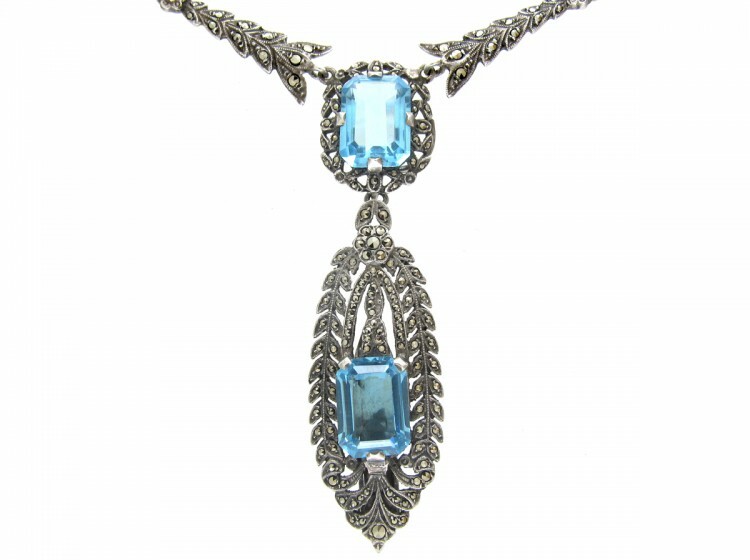 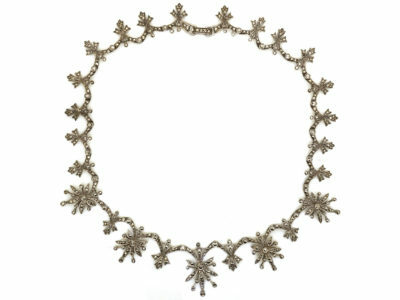 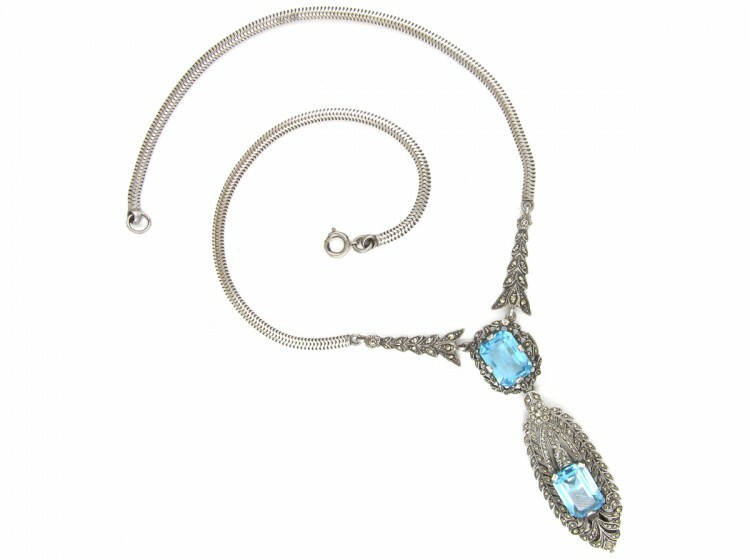 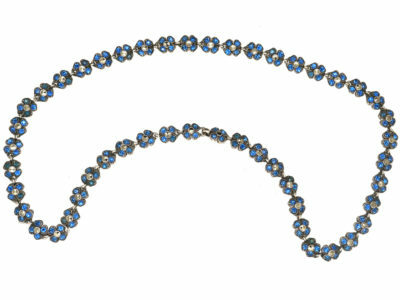 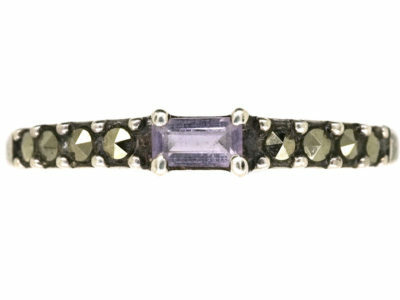 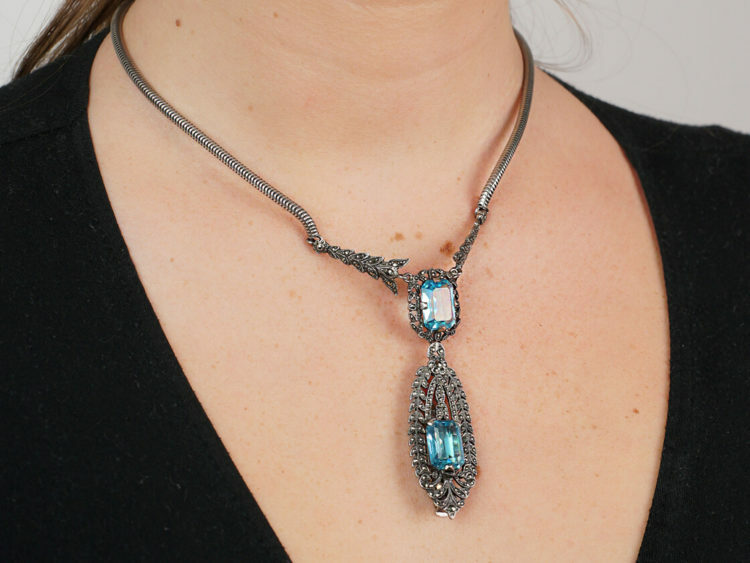 A striking silver, paste and marcasite necklace which imitates an aquamarine and diamond equivalent. 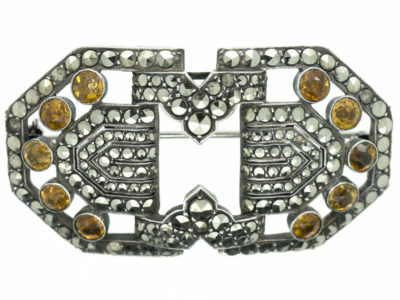 It was made in 1950. 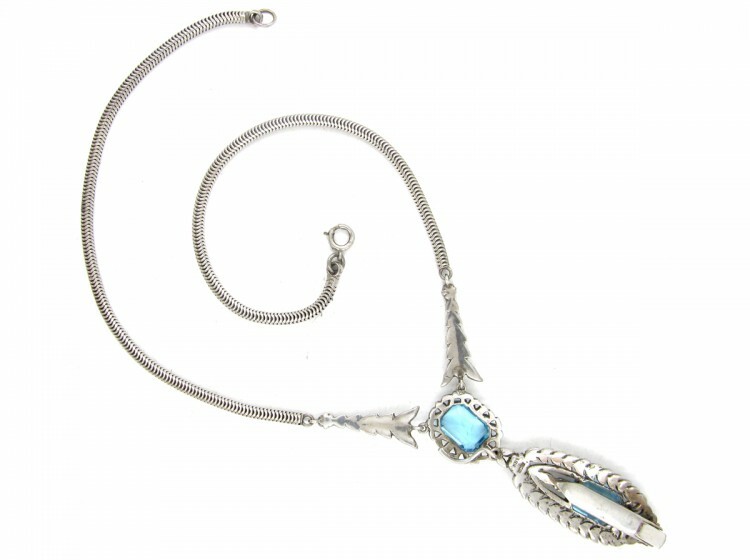 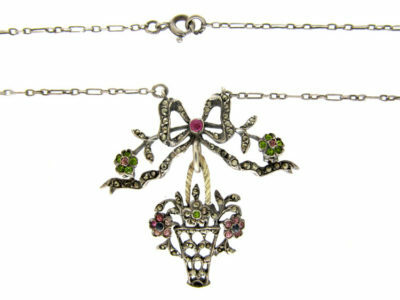 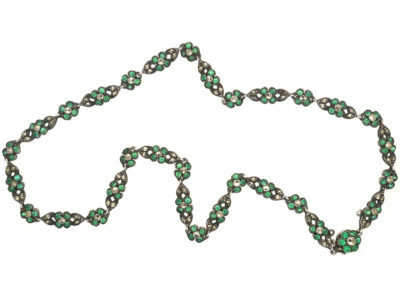 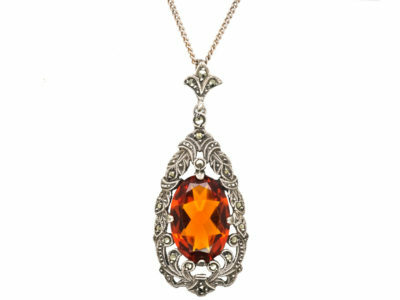 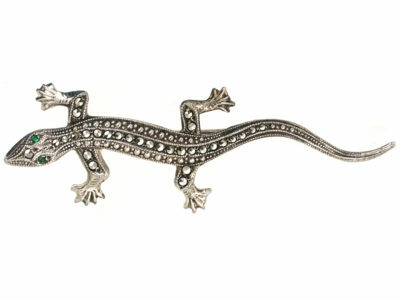 The pendant detaches from the necklace and can be worn on its own as a clip so you have two pieces of jewellery in one.